To be ranked as one of the best restaurants in LA by a highly regarded food critic is setting a high standard. Mayura comes close to meeting this standard. 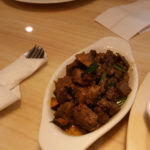 The owners are from Kerala which is an area located in South India featuring dishes heavily based coconut milk and favoring vegetarian dishes. 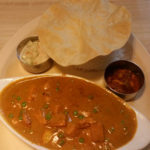 This is a place to try if you are looking for Indian cuisine that most resembles the taste as if you were ordering in India! I asked one of the owners about their personal (not the restaurant’s) favorite dishes to eat. 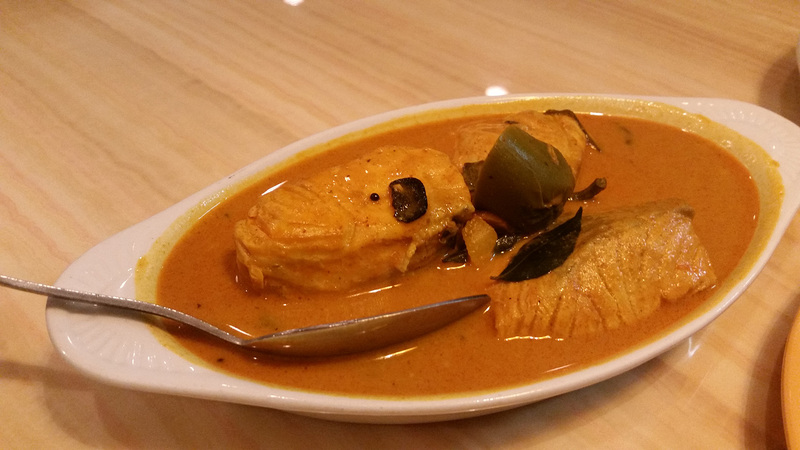 He laughed and said the Fish Curry. 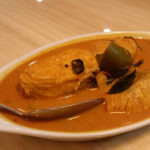 Of the items ordered, Fish Curry was the most boring. The salmon tasted fine but the sauce did not help to give it an Indian flavor. 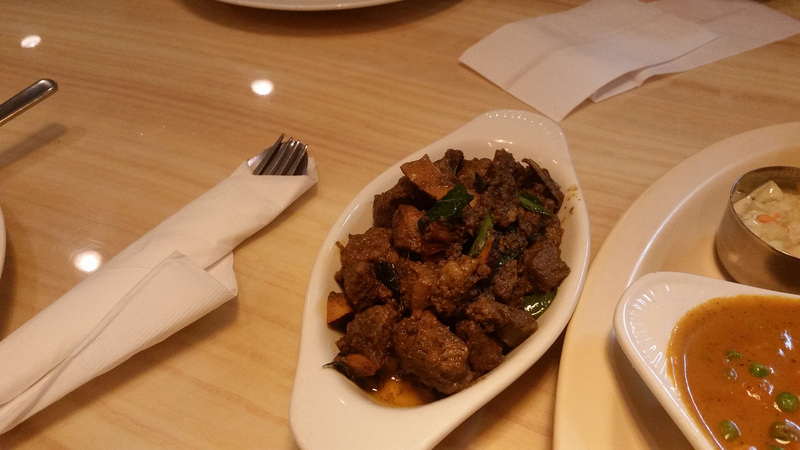 I also ordered the Beef Coconut Fry which is a dish not on the menu (beef is considered offensive to serve especially in a South Indian restaurant) but I heard they served it. It was dry yet flavorful and delicious which hints of coconut taste. The Chettinad Chicken cooked in Southern India (Tamil Nadu) style which reminded me of the chicken my mother used to make while growing up. Simple, flavorful with heavy dose of curry sauce. 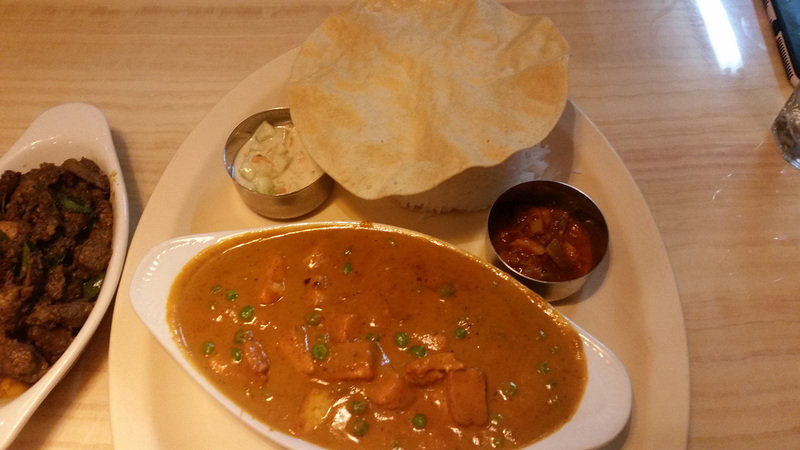 The Mutter Paneer is a staple favorite of mine and I had to try it and it did not disappoint. Peas and cheese in a spicy Indian sauce which is a little on the salty side. If you come for their lunch buffet, they will serve you one Dosa which is a grilled crispy crepe made of fermented rice and lentil batter. HIGHLY recommend you ask for the Masala Dosa which features mash potato filling inside the dosa. This has got to be the most common dish you can order when in South India. The walls are adorned with photos of the owners with various famous guests such as actress Mindy Kaling, actor Joseph Gordon-Levitt and the former President of India. The owners are endearing and super friendly. Always dressed in traditional Indian (sari) clothing, she is always smiling and wanting to know if you had a pleasant experience. The owners checked on us several times to see if everything was okay. This is uncommon from most other restaurants where the owners are not as engaging with their customers.